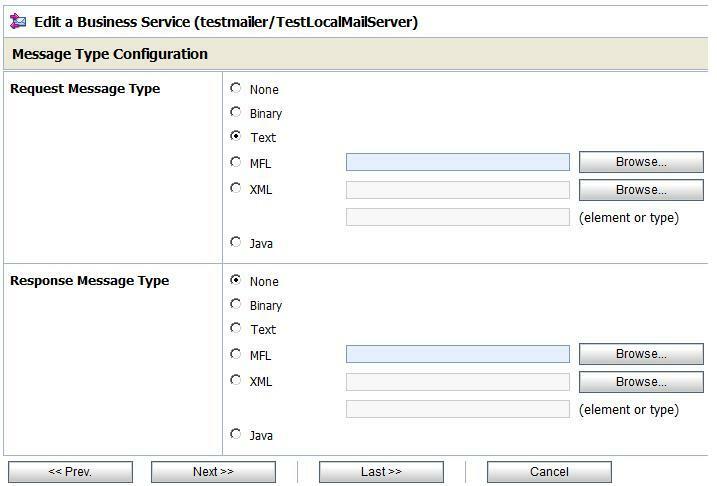 In this post I will discuss about sending mails from OSB 11g. 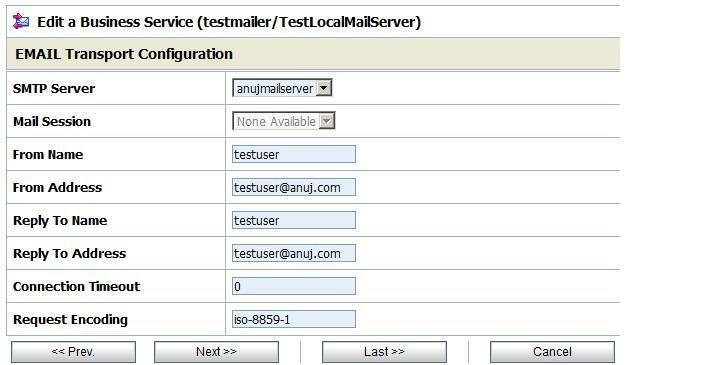 I will use Java Apache Mail Enterprise Server (JAMES) as a mail server. 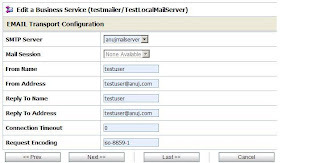 After creating SMTP server, I will create one Email business service to send messages to JAMES. 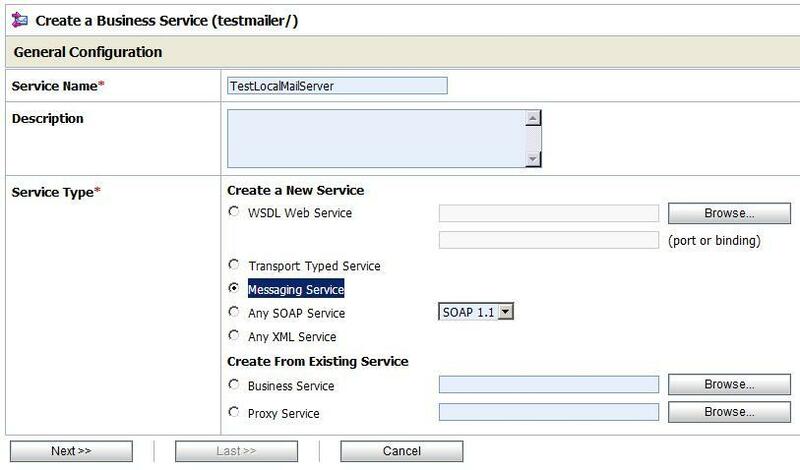 You may create a business service inside any OSB project. 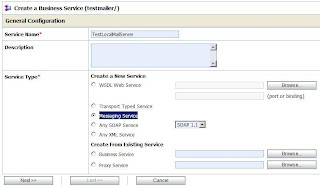 Save the business service details and activate the configuration using Change center. 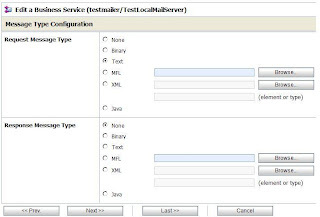 You are done with the configuration part now and your business service is ready to be tested. Useful article. 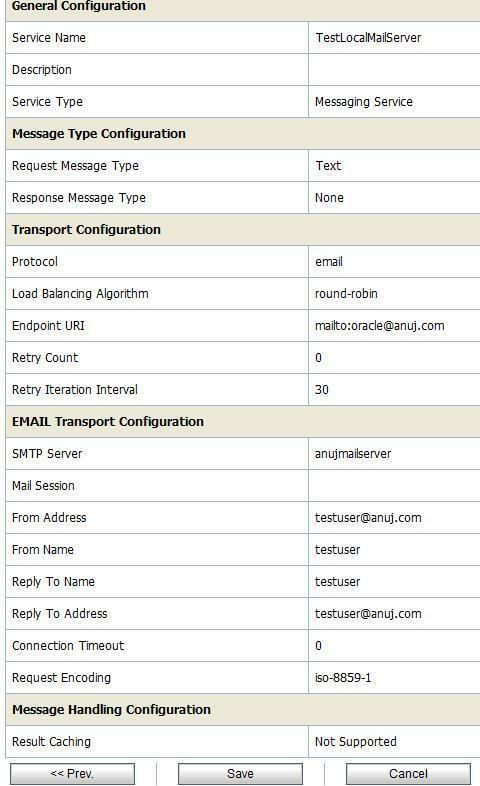 I tried this on my machine, I was able to set up James and was able to send email from OSB. 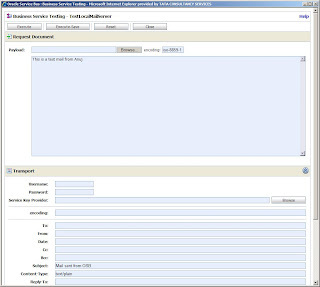 However, when I test the OSB service, it doesn't send the email instantly. 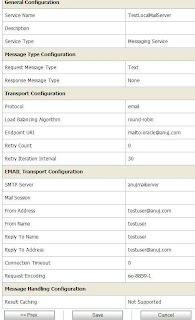 It will send the email if we execute the service again. So if on first execution I send an email to "xyz", nothing will happen, 'xyz' won't get my mail. 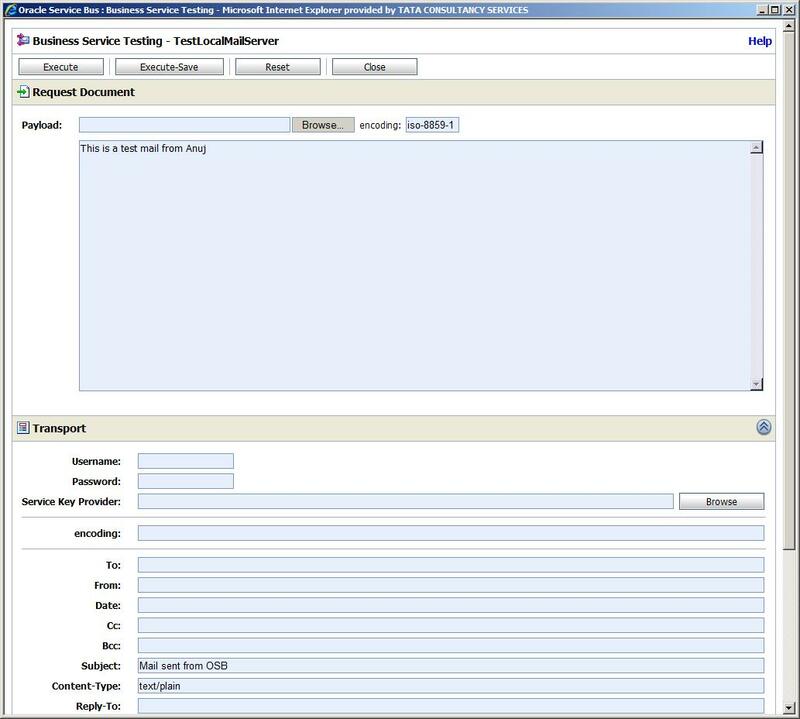 But if I execute the service again and send an email to '123' then 'xyz' will receive the previous email. '123' however will not receive anything. Do you know what the problem could be? Thanks. I was able to send out an email from OSB. When I check my inbox I don't see it got delivered to inbox but instead I see the messages in outbox. Do you know what could be the reason for it not getting delivered to my inbox. BlueHost is ultimately the best hosting company for any hosting plans you might need.